BBPC: BuildOrBuy - Joe Whinery, AMD Athlon: These are some shots I made while building a PC using most of the recommended parts on our May Build List. 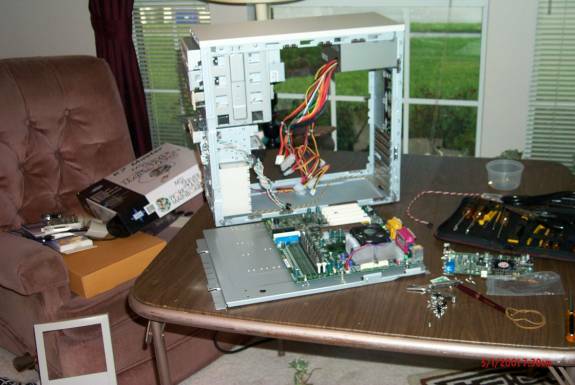 Pictures Made While Building a PC using Recommended Parts on May 2001 Build List. These are some shots I made while building a PC using most of the recommended parts on our May build list. The deviations from the build specs were the necessitated by the application to which this machine was being used. Getting started, these are most of the components I will be using. Here the motherboard is mounted to the case side. There are two things to notice here. 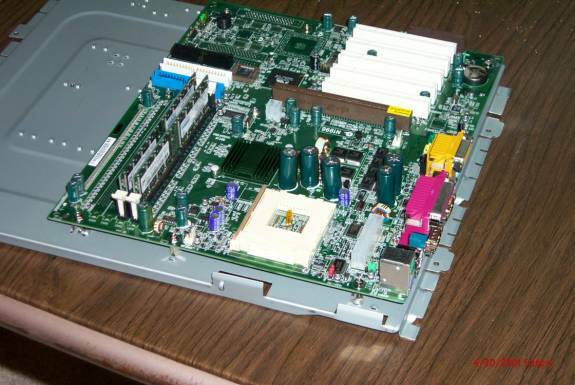 1: The brown strap in the center of the CPU socket is the thermal sensor and should not be moved or changed. 2: The memory SIMMs have not been inserted. This is an error, and I had to remove the M/B, set it down on a flat surface and insert the SIMMs. You should feel a solid click when the memory is inserted properly. Properly assembled and ready for the CPU. 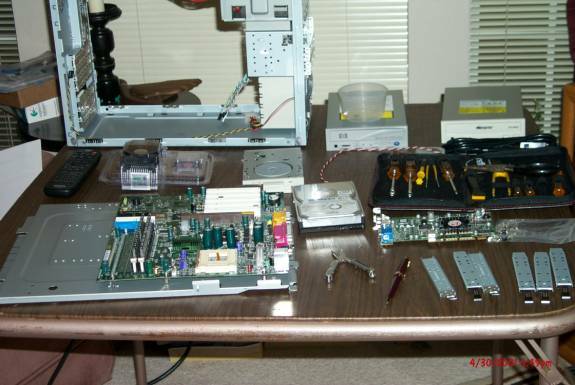 Here I have laid out the remainder of the items to be assembled with the exception of the 30 GB On Stream SCSI drive. 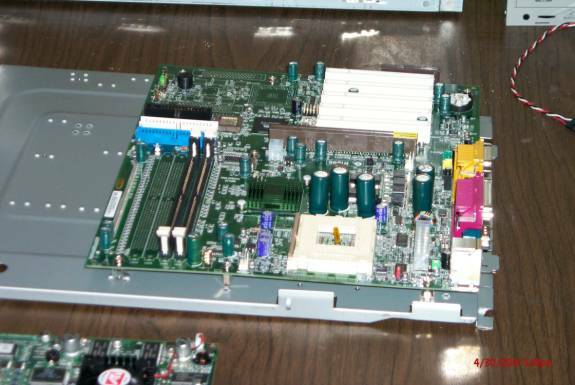 The video card in the picture is the Raedon 64MB card with video in-video out. This power is required for rendering Seismic 3D images. 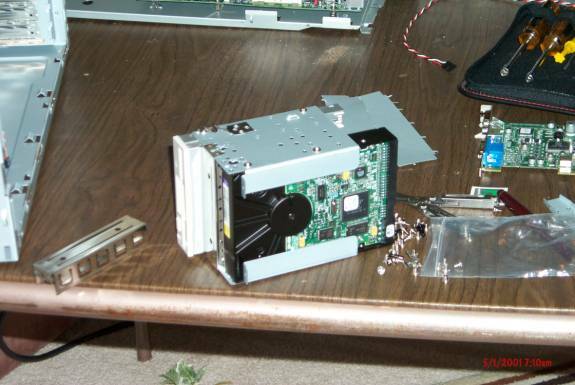 This is the cage for the Floppy drive and the Hard drive. This is one of the better features of this case, the ability to completely remove the drive cage for much easier access. Here we have all the drives mounted in the case and the CPU with fan mounted on the M/B. 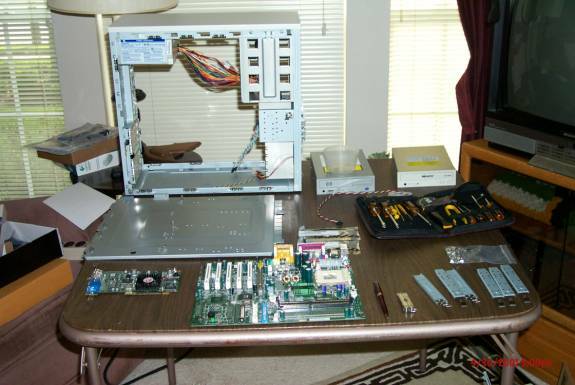 Next I just installed the side panel, added the video, networking, modem and SCSI cards, connected all the cables and I was ready for the operating system installation.